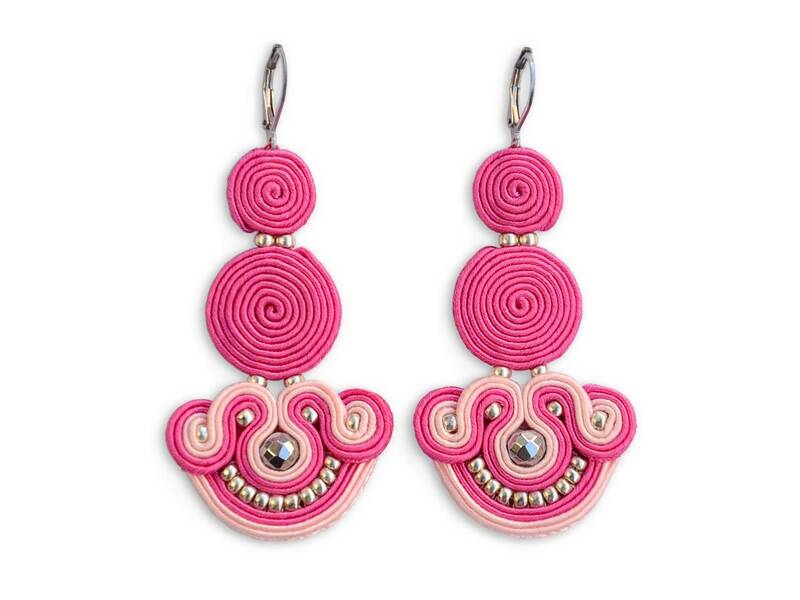 Joasou 'Corsica' intense pink statement earrings are crafted by hand from soutache braid, embellished with glittering hematite and seed beads. Colorful and eye-catching, these earrings can be styled with a white top or with evening wear. The 'Corsica' earrings are ultra-lightweight, you'll forget you're wearing them.